Are planning for a new career in this field or are just interested. Want a stepping stone before committing expensive and years-long education. 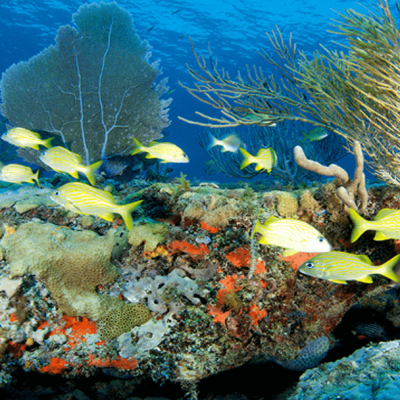 In this course you will learn about the diverse range of marine life on earth. This course is an excellent introduction for those who wish to work in the field of Marine Science or for those seeking to understand the range of fascinating marine environments and the organisms that inhabit them. You will be introduced to a wide range of factors related to marine studies that includes marine ecology systems, reef formation and function, marine organisms such as fish, cephalopods and marine mammals, marine ecosystems and how human activity impacts all of these. This course can also be used as a base for marine tourism career-paths and boosts the rewards of advanced recreational activities such as scuba-diving, snorkeling, free-diving, fishing, bird-watching, kayaking, sailing and boating. Students learn about a range of marine biology topics including marine ecosystems, bony fish, shellfish and crustaceans, marine mammals and more. Effect of sharks on tourism, etc. Aquaculture science and teaching are the two things Peter is most passionate about. He is currently a Master of Science candidate, studying the reproductive biology of groupers. He holds a Bachelor’s degree in Fisheries science with a specialization in aquaculture. His field work experiences include broodstock and hatchery management of marine fish species, and disease monitoring of cultured organisms. Over the years, Peter visited fish farms in Australia, Canada and the Philippines, and learned first-hand how aquaculture operation is being done all over the world.  Learn about a wide range of marine life.  Study different marine environments.  Bony fish, shellfish and crustaceans, marine mammals.